Cartographers design and create maps to communicate information about phenomena located somewhere on our planet. These could be relatively simple maps, such as those that pinpoint all the bookstores in a city or that display how intense traffic is during morning rush hour. They could also explore more complex topics, such as the relationship between a volcanic eruption in one place and the weather on another continent a week later. In the past, cartographers did not worry too much about who was going to read their maps. Although some simple “usability” research was done—like comparing whether circle or bar symbols worked best—cartographers knew how to make maps. And in a bygone context, that was probably all right. This has changed now, however, due to all kinds of societal and technological developments. Today, map readers are more demanding—mostly because of the tools they use to read maps. Cartographers, who are also influenced by these trends, are now more interested in seeing if their products are efficient, effective, and appreciated. Based on what has happened in other disciplines such as industrial design, cartographers started to develop and apply methods and techniques to more seriously evaluate the usability of their map products. Modern mapmakers now try to evaluate a map’s effectiveness (does it answer the questions asked? ), efficiency (does this take a reasonable amount of time? ), and satisfaction (is the map pleasant to work with?). Given today’s interactive mapping environments, this is not an easy endeavor. For one thing, what do you test, the interface or the map? During a map usability evaluation, cartographers give real people real-world tasks to complete with the map being tested. Researchers often use mixed methods—applying multiple quantitative and qualitative techniques to test a map’s usability. Eye tracking is a rather popular method of evaluation these days, especially because all sorts of quantitative methods can be applied to the data gathered during one of these tests. In an eye-tracking test, researchers can evaluate patterns in eye movement, showing that the map reader first looked at the legend and then continued to the main map, for example. They can also assess the duration of fixation—that is, how long the reader spent looking at a certain location on the map. But numbers do not divulge everything. Did the reader remain fixated on a portion of the map because he or she had a problem understanding the map (and, if so, what was the problem)? Did the reader’s eyes stay longer at that location because he or she appreciated what could be seen? Or did someone simply offer the map reader coffee? In situations like these, it makes sense to apply quantitative methods in conjunction with qualitative ones. For example, let map readers talk while they are looking at the map to explain what they are doing. In the above example, if the map reader had said, “the visual clutter makes it difficult for me to follow the line that tracks the airplane,” the cartographer would know right away why he or she remained fixated at a certain point for so long. The challenges of executing a proper map usability evaluation have increased over time. We cartographers now think we can deal with assessing the usability of paper maps, controlling the experiment well enough. But because we currently have to evaluate interactive online map environments, this gets trickier. There are so many variables to control that it is difficult to interpret the results. Using eye tracking as an example once again, on a static world map that shows a global airline’s network of flights, an eye-movement evaluation might reveal that a map reader looks specifically at the airline’s flight from Tokyo to Washington, DC, via Amsterdam. But how would a cartographer analyze a map reader’s eye movement if the map being evaluated is an interactive 3D globe that the reader has to rotate? The flight path from Tokyo to Amsterdam to Washington, DC, would no longer be a long line across a page that a map reader follows from right to left. Rather, a plot of the map reader’s eye movement would look like a squiggly dot at the center of a screen, since he or she would more or less be staring at the same location while rotating the globe. In this instance, the cartographer has to have context about the map-reading task and combine this information with the map reader’s interactions during the actual map reading. As if all that is not difficult enough, cartographers are also beginning to contend with yet another advancement in mapping: augmented and virtual reality. Virtual reality (VR) maps get especially interesting—particularly when combined with 3D mapping. That is because, while viewing a 3D map on a 2D screen still causes visual clutter, looking at a 3D map in a VR environment is expected to clear out some of this chaos. For example, it is easy to create our airline map in a 3D VR environment with some of the software that exists today. It is also easy to come up with tasks that map readers should execute during a usability evaluation. But how would a cartographer measure what happens in this virtual world, considering it is such an immersive experience? Finding out how a map reader’s eyes follow that flight path from Tokyo to Amsterdam to Washington, DC, might not be that easy, since eye-tracking tests are not available in the virtual world (yet). New technological developments have always stimulated cartographers to experiment with their maps by applying these new innovations to their designs. After successfully creating a map with new technology, like VR, a cartographer’s job is not finished. We have to be able to judge whether the new map product makes sense. That is why we have to conduct map evaluations, which often require different approaches, as well as the development of new evaluation methods and techniques. To find out more about cartographic usability research and join the conversation about how to tackle challenges in usability testing, explore the International Cartographic Association’s Commission on Use, User and Usability Issues. Menno-Jan Kraak is professor of geovisual analytics and cartography at the University of Twente in the Netherlands, where he has been teaching since 1996. He has a degree in cartography from the Faculty of Geographical Sciences at Utrecht University and received his PhD in cartography from Delft University of Technology. Kraak has written extensively on cartography and GIS. His book Cartography: Visualization of Spatial Data, written with Ferjan Ormeling, has been translated into five languages. He also wrote Mapping Time: Illustrated by Minard’s Map of Napoleon’s Russian Campaign of 1812, published by Esri Press in 2014. Kraak is a member of the editorial boards of several cartography journals, including the International Journal of Cartography. 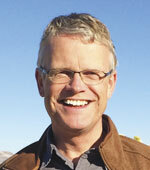 He currently serves as president of the International Cartographic Association. 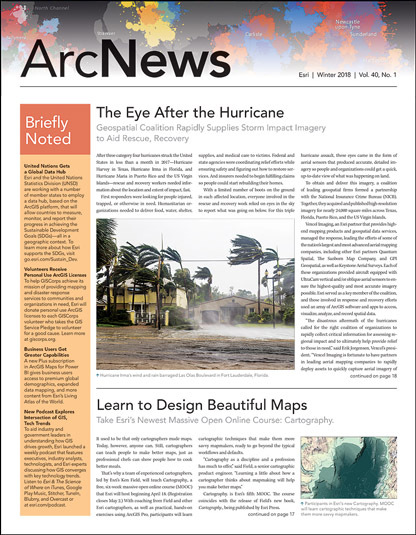 Read other articles in The Relevance of Cartography series.